Munich Transport Corporation (MVG) is a division of an integrated service provider including electricity, gas and water utilities, as well as transportation services. Providing a daily service used by thousands of Munich residents and tourists, the company seeks for options to detect errors as fast as possible and efficiently deal with them. Zabbix Conference LatAm 2019 will take place on April 25-27 in Porto Alegre, Brazil. We asked Daniel Nasiloski, one of the announced speakers, to tell more about his speech, that promises to be really interesting. 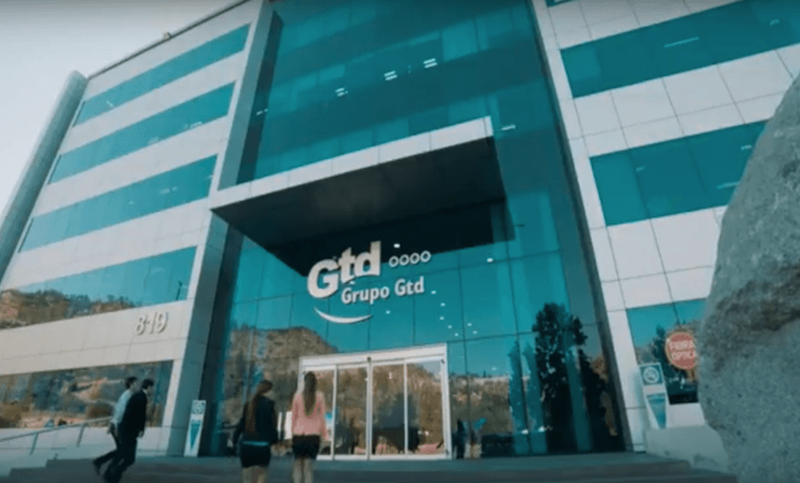 “As one of the leading service providers in Chile, our key virtues drive us to be agile, reliable and caring for our customers’ experience and needs. Operating in the Internet, Telephony and TV sectors implies availability and consistency of everything we do. Being able to address all that is why we chose Zabbix.” – says Joel Urtubia Ugarte, senior network intelligence engineer at GTD Group. Implementation of Zabbix. Pre-conference interview with Gerhard Pegel. Every Zabbix event is all about sharing knowledge, discussing ideas, asking the right questions and, of course, learning from real use cases. 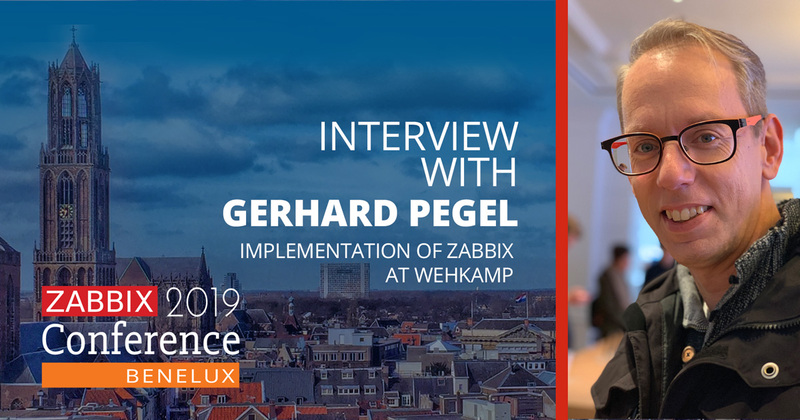 We’ve reached out to Gerhard Pegel, one of the speakers at Zabbix Conference Benelux, for his take on this. Author Jekaterina PetruhinaPosted on January 31, 2019 February 1, 2019 Categories Community, Conferences, Interview, SocialLeave a comment on Implementation of Zabbix. Pre-conference interview with Gerhard Pegel. Zabbix Summit’18. How It Was. First week of October this year ended with a very special event – the Zabbix Summit, taking place in a Zabbix hometown, Riga, Latvia. 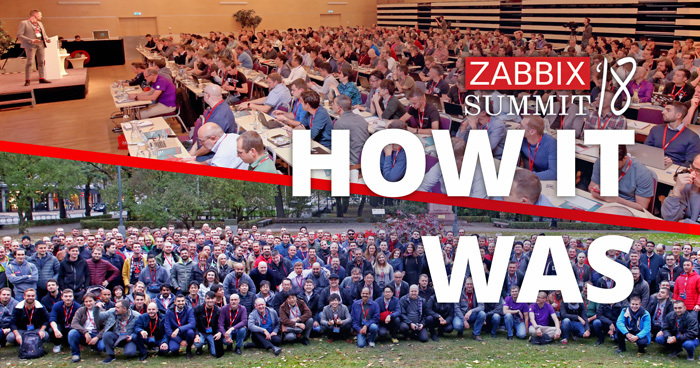 Being an 8th conference in Riga in a row, the Zabbix Summit gathered a record number of participants – 350 IT professionals from more than 40 countries. And we all had a lot of things to talk about – to discuss, to teach and to learn from each other, sharing Zabbix expertise and monitoring challenges. Author Jekaterina PetruhinaPosted on October 16, 2018 February 13, 2019 Categories Community, Conferences, News, SocialTags agenda, monitoring, Zabbix, Zabbix 4.0, Zabbix SummitLeave a comment on Zabbix Summit’18. How It Was. There is only 1 week left to join the biggest Zabbix event! Visit our Summit page to learn all the benefits this event brings to the attendees, explore the content diversity and choose workshops to attend and practice Zabbix. Today we would like to present Shawn Cai, a DevOps Team Manager of China Merchants Bank. At the Summit, he will focus on full-stack monitoring in DevOps environment via Zabbix. Little over a month is left until we will meet you at the biggest Zabbix event – Zabbix Summit 2018. This year we have put together a very diverse agenda, and with only 2 weeks left to register, we encourage you to get acquainted with our speakers to find out about their speeches and ideas, and decide on why you really should join the Zabbix Summit this year. Today we would like to present Wolfgang Alper, a true Zabbix expert and CEO at IntelliTrend GmbH. At the Zabbix Summit, Wolfgang will talk about Zabbix power in the field of IoT. In a month and a half we will meet you at the biggest Zabbix event, happening for the 8th year in a row, and from now on called – Zabbix Summit 2018. You will witness practical examples of what Zabbix is capable of, gain hands-on experience through workshops run by the Zabbix Team, and have a chance to get Zabbix certified. Only 4 weeks left to register! To give you a small preview on the agenda that awaits you, we are offering you insights in the minds of people stepping on the stage of our event and sharing their vision, experience and knowledge. Today we would like to present Lukas Macura, a Network and Cyber Security Expert and Open-Source “extremist”, as he calls himself. He is a CTO at the Foresight CyberTM, where Zabbix is an integral part of the company’s internally built Foresight Cyber Platform, delivering cyber security managed services to company’s clients.